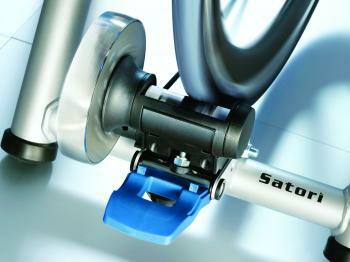 The Tacx Satori home turbo trainer is an affordable portable intermediate level unit. 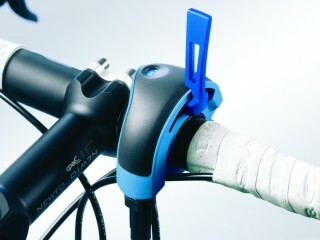 It can be used with road bikes or mountain bikes (better to use a smooth tyre than a nobbly, to minimize vibration). The trainer comes with a new skewer that replaces your existing skewer to allow the turbo trainer to be mounted to your bike. 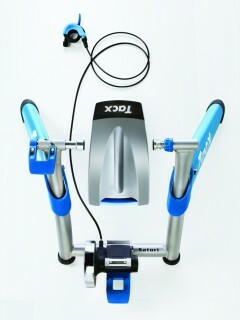 The trainer does not have any features for recording cadence, distance or speed, however you can use a standard bike computer to give you this information. 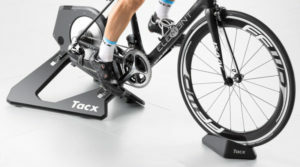 As this trainer is not electronic it cannot be used with any of the Tacx computer software products if you are interested in using these you may like to look at the Tacx Genius turbo trainer. The trainer is designed to give higher resistance which is good for someone who wishes to train at the higher power output range.